Legalization in Canada is nationwide, but the country’s provinces and territories have differing rules, such as where you can consume. The following looks at some of the details on marijuana legalization in Canada. 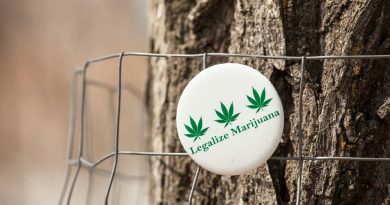 Canadian legalization of adult-use marijuana differs from the rules in U.S. states where marijuana is legal. 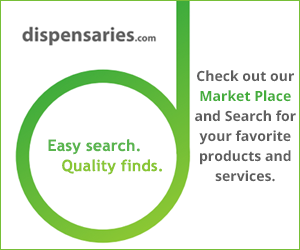 For now, only dried cannabis flower, tinctures, capsules, and seeds are available. Edibles, which have grown in popularity, are not allowed but may be at some point in 2019, according to the Associated Press. Canada’s Cannabis Act allowed those 18 or older to buy marijuana, but most provinces and territories have raised the age to 19, according to AP. That’s the legal drinking age in Canada. There is a 30-gram limit on how much marijuana a person can buy at once or possess in public. There is no limit on what Canadians can possess in their home. With the exception of Quebec and Manitoba, residents can grow up to four plants in their home. Most provinces and territories allow for sales online. There also are traditional, brick-and-mortar dispensaries in some areas, but not all, according to travel site Afar. Can I Bring Marijuana Into Canada? Absolutely not. Those who get caught doing so will face severe penalties and possibly jail time. The same goes for trying to bring purchased marijuana in Canada back to the U.S. – don’t do it. What’s the Best Place for Marijuana Tourism in Canada? That depends on who you ask. Grizzle, a Toronto-based financial advisory firm, recommends British Columbia and Alberta as among the best for “marijuana tourists” because of looser marijuana consumption laws. For example, Vancouver in British Columbia has the Dude Chilling Park, where public consumption of marijuana is allowed, according to travel site Lonely Planet. Both Vancouver and Toronto, in Ontario, also have cannabis tour companies, such as Canna Tours in Vancouver and Canadian Kush Tours in Toronto, according to Lonely Planet. Both also have cafes where you can partake. The bottom line: Canada was already a beautiful place to visit, and it will undoubtedly draw even more tourists now that it is only the second country in the world (after Uruguay) to legalize adult-use marijuana nationwide. However, marijuana tourists should take the time to thoroughly check out the local marijuana laws where they plan to travel. ← What Does DEA Epidiolex Decision Mean For Future of Medical Marijuana?